Politicians from both sides of the political spectrum understand that teachers are the most important classroom factor when it comes to improving student performance. Unfortunately, their policies over the past decade have failed to reflect this understanding. North Carolina’s average teacher pay ranking has fallen from 22nd in FY 03-04 to 41st in FY 15-16, and enrollment in teacher preparation programs is plummeting. Competitive salary systems play a vital role in recruiting and retaining the best and brightest into the teaching profession. High-performing countries such as South Korea and Finland have made competitive salaries for teachers the foundation upon which their educational systems are built. Competitive salaries benefit other recruitment and retention strategies such as tightening admission standards to schools of education, offering paths for professional growth, and increasing the prestige of the profession. Attracting high-performing teachers into the profession is especially important given the important impact high-quality teachers have on students, particularly those from disadvantaged backgrounds. But what is meant by a competitive salary? Much of the recent debate over teacher salaries in North Carolina has focused on North Carolina’s average teacher salary ranking compared to other states. However, this is a flawed measure as relatively little competition for teachers occurs between states and state rankings fail to take into account differences in the labor markets across states. To truly determine the salary required to attract and retain talented candidates to the teaching field, the important measurement is how compensation compares in relation to alternative careers with similar educational requirements. That is, the salaries of North Carolina teachers are best compared against the salaries of other professionals in North Carolina with a bachelor’s degree or higher. This metric avoids the weaknesses of traditional state rankings and is more aligned with the data a talented university student considers when deciding which profession to pursue. How competitive are North Carolina’s teacher salaries? New research from the Economic Policy Institute provides analysis of teacher wage competitiveness in each state. According to the group’s analysis, North Carolina teachers’ wages are 65 percent of other college graduates in the state, compared to a national average teacher-to-other profession wage ratio of 77 percent. North Carolina’s wage competitiveness is tied for 49th, with only Arizona offering less-competitive teacher salaries. The numbers are even worse when comparing only full-time workers. 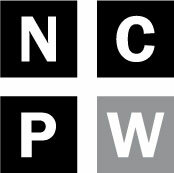 By this measure, North Carolinas teachers’ wages are just 57 percent of the wages of other full-time workers in North Carolina with at least a bachelor’s degree. This compares to a 64 percent ratio nationwide. What would competitive teacher salaries look like in North Carolina? Increasing North Carolina teacher salaries to levels comparable to Finland would require raises between 25 and 43 percent. In other words, investment in North Carolina’s public schools would need to increase $1.3-$2.3 billion to bring teacher wages to a level that are comparable to the wages offered in Finland. While this would be a substantial investment, it is within reason. Recent tax cuts are estimated to have reduced State revenue by approximately $1.4 billion per year. The salary schedule below represents one option for achieving competitive teacher salaries in North Carolina. It dedicates $1.1 billion to increasing base salaries for all teachers, allowing $300 million to be set aside for locally-determined differentiated pay initiatives to improve recruitment and retention of hard-to-staff positions. The proposed salary schedule would be sufficient to increase salaries by an average of 24 percent, while the amount set aside for differentiated pay could support additional salary increases averaging five percent. The 29 percent increase in teacher salaries would bring North Carolina’s teacher salary competitiveness to levels similar to those offered by Finland. 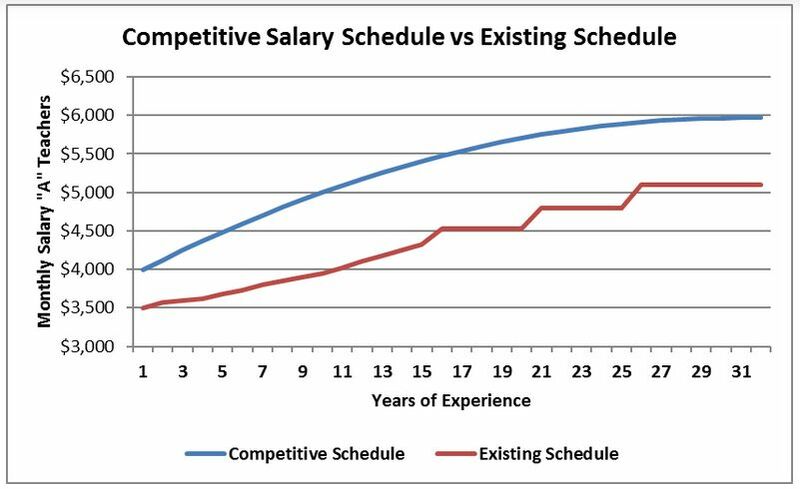 Consistent with research on optimal salary schedule design, the proposal creates a concave teacher salary schedule, where pay increases more quickly in early years, and levels off for teachers with 30 years of experience. We need to change the dialogue on teacher pay. Policymakers should stop focusing on North Carolina’s ranking compared to other states and instead focus on making teacher salaries competitive with the salaries offered by other similarly-educated professions in North Carolina. Based on this measure, North Carolina’s teacher salaries are even more inadequate than previously thought. While creating a competitive teacher salary schedule would require significant investment, the required revenue could be realized by repealing recent years’ tax cuts that have largely benefited the wealthy and powerful. Policymakers should also feel urgency to act, as the teacher wage penalty has been increasing over time, and the benefits of a higher-achieving teacher force will benefit all students, particularly disadvantaged students who are less likely to be taught by the most experienced and effective teachers. Rather than examining full-time workers, the EPI analysis looks at any workers with a bachelor’s or master’s degree and positive wages. The analysis of full-time workers is from the author’s own calculations. There are multiple ways to measure competitiveness, hence the different US averages from EPI and OECD.